Turin is undoubtedly the most complex out of Hurin’s family. He lived during the beginning of the downfall of the elves of Beleriand to Morgoth, an evil, angelic being out for conquest. Because of this, he had been apart of many adventures in many roles: from a refugee, to a soldier in the army of Doriath, to leader of a band of outlaws-turned-guerrillas, to general in the army of Nargothrond, a leader of another group of warriors from Brethil. Though often considered proud and arrogant, his actions in life are more than what they seem. Turin is a cocktail of six profound losses in his life, inherited traits never honed, a series of bad experiences, and bad choices. Turin’s family relationships are not the norm. He was born after the war of the Dagor Bragollach, where thanks to the efforts of the armies of Hithlum and Dor-lomin, Morgoth’s forces had not conquered those lands as he had others such as Dorthonion. During this time of secured peace, refugees from the lost territories arrived and merged with the local population. This was how Turin’s parents met: a war hero and new leader of Dor-lomin, marrying a hardened survivor of the noble line from Dorthonion. During the times of peace, Turin rarely saw his father. Hurin was what we would call career military who followed lofty dreams that humanity and their elven lords would overcome the enemies that threatened them. To this end, he devoted much of his energy, though not out of malice towards his family. He had just always been a soldier since Dagor Bragollach and became Dor-lomin’s ruler when his father was killed during that war. Turin often felt awkward around him because he would speak strangely to his ears when Hurin would return and found it unsettling. Turin also noted Hurin’s preference for being around elves that seemed to be more than just military priorities. As a child, Turin had a much more outgoing personality like Hurin. He was hopeful, though sometimes withdrawn, spoke quickly, and could be just as quick-tempered as Hurin. He also hated injustice just as much as his father and more so when he was unable to do anything to stop it. 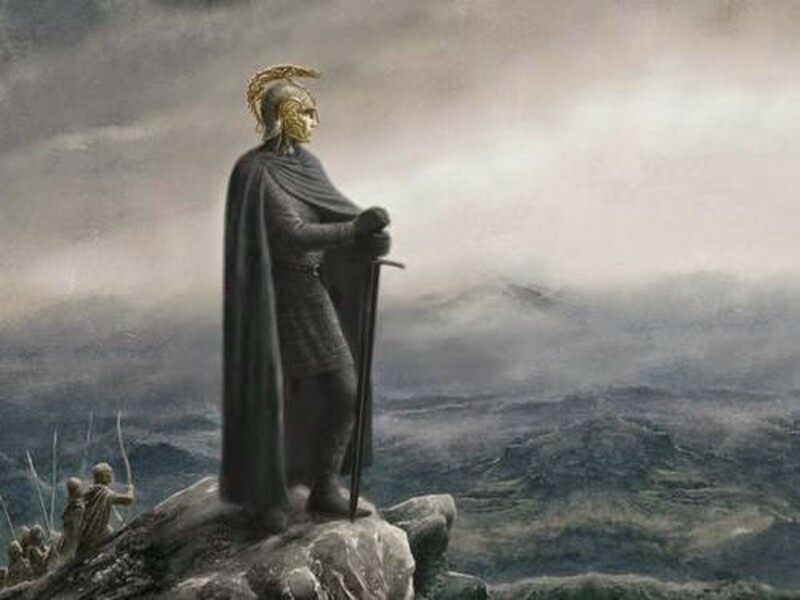 However, Hurin would later be captured at the Nirnaeth Arnoediad war and Turin never saw him again, though he did hear about his fate years later. In his later years, other paternal traits would shine through like his endurance, force of will, and talent and preference for battle. Turin’s war-like nature is so great that he has been known to beat out elves in strength and speed, which at that time were stronger than humans. He is not lacking in courage, even willing to fight Glaurung the dragon on three occasions, the final one ending with the dragon’s death. Turin survived several major battles and ambushes where he should have died. And he is remembered long after as second only to Hurin as the greatest of human warriors in Middle-earth. However, its Hurin’s absence in Turin’s early years that define their relationship the most. He lacks the self-control and balance his father had and instead developed an all-or-nothing personality. Self-restraint over his aggressive qualities was never taught to him and as such Turin leads with his emotions rather than his head. The loss of his father is the second of the six losses that defines Turin. Though he did not understand Hurin, Turin looked up to him as an impenetrable wall that held off the distant evil. When that wall was no longer there and the evil now was literally at his front door, Turin starts to take a darker turn and more so resemble his mother in mood as well as appearance, than his father’s until the end of his life. Turin even ends his own life for nearly the same reasons that Hurin does: having his hopes turned into something evil. ". Though Turin loved her, he never seeks comfort from his mother as her own hardships had long ago made her incapable of it." Turin developed a strong bond with his mother, Morwen. He bore much more of a resemblance to her as he grew older, dark-haired as the people of fallen Dorthonion were known for, and stern. Morwen for her part loved Turin but was not very affectionate towards him openly. Yet she was always blunt, a quality Turin loved and imitated. Morwen was like the mother who never told you, ‘I love you’ but showed it in action and little things. The kids come to expect and understand that quality and Turin was no different. When his sister, Lalaith, dies from a plague, Turin’s extroverted personality changes. Family servant and close confidant, Labadal, notes that the boy becomes more reserved and hardened: colder like his mother, yet still retaining a capacity for pity and giving to others in need. Turin’s newfound steely-ness can be in part attributed to Hurin not teaching him how to process grief in alternative way to Morwen’s method of internalizing them. Though Turin loved her, he never seeks comfort from his mother as her own hardships had long ago made her incapable of it. 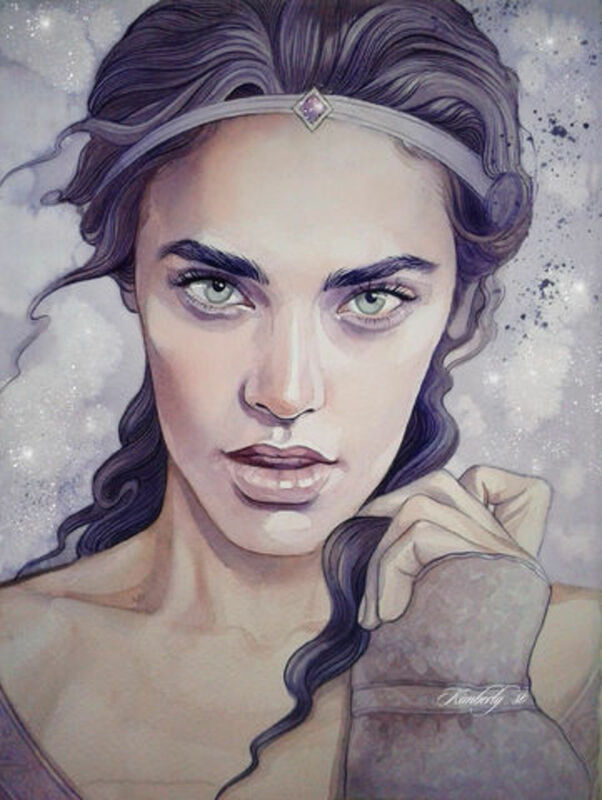 After the Nirnaeth Arnoediad and when the Easterlings invade Dor-lomin, Morwen protected her son, not with sword and shield as Hurin had, but with the same steely will that made her distant. Turin’s mother had often been marked as being unfriendly by most people since she arrived from Dorthonion years before, being silent in nature, yet somehow regal. The Easterlings now interpreted this to be some form of elven influence and stayed away from her. Therefore Turin was still protected by another impregnable wall, yet that didn’t matter to him now. His joy, if he ever truly felt it, was now gone and the occupation of his homeland would add another loss to Turin’s story. 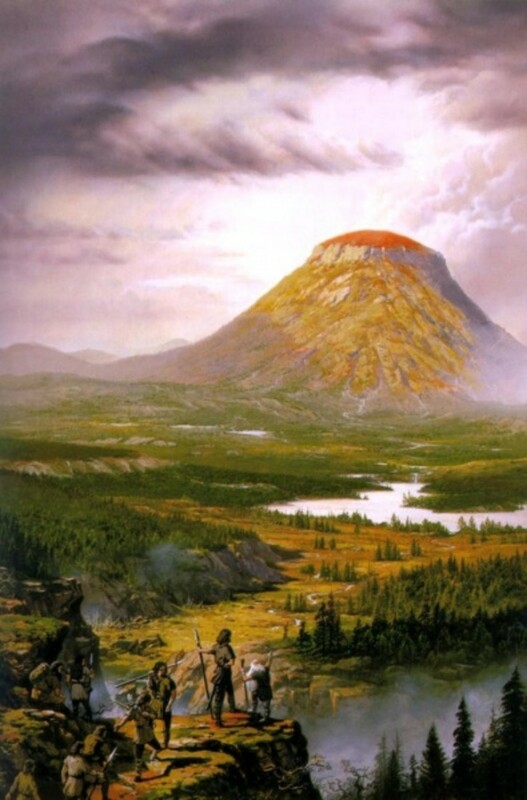 Eventually, Morwen had decided to send him to Menegroth, an elven kingdom that was also a magical stronghold where no evil forces could penetrate. Turin, wanting to protect his mother as well as his unborn, second sister, refuses to leave, but is eventually removed anyway. This loss is the biggest in Turin’s life and from this point on he truly becomes his mother’s son in manner, appearance, and now in experience. Nothing becomes as important to him as family, something in which he ironically surpasses his father. Once again though, he is powerless to protect what is important to him. Though the pain is soothed for a time by messages from Morwen during his stay in Doriath, even these eventually stop. His missing Mother and sister become a sore point and easy trigger to set off Turin’s growing rage. Lalaith, Turin’s first sister and loss, showed a young Turin being the protective and yet distant, older brother. Also born during the peace before the Nirnaeth Arnoediad war, his relationship to Lalaith closely resembles his own to their father, Hurin. Though he rarely played with his little sister, he was still more affectionate to her than he would later become. 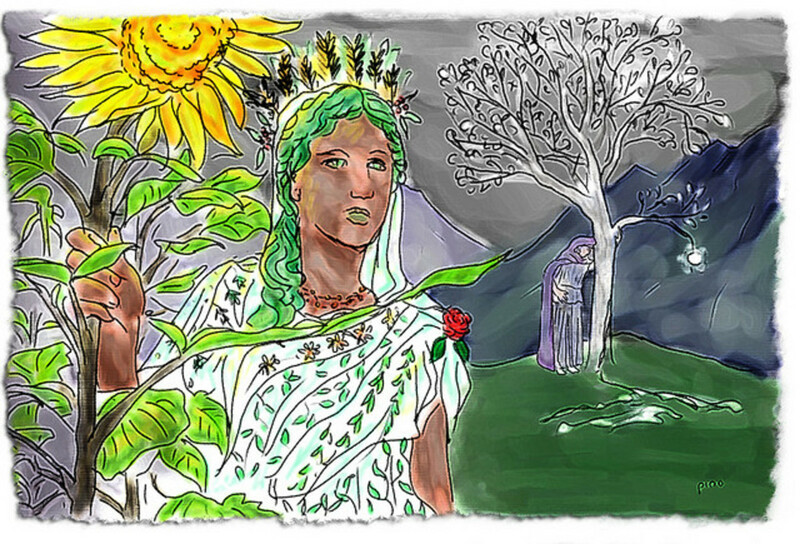 Lalaith is considered the one bright spot in Hurin’s family, bringing joy to those who knew her. It can be implied that the young girl’s joy also brought Turin happiness while she was still alive. This is clear when Lalaith dies during a plague, which also nearly killed Turin himself. After recovering, Turin demands to know his sister’s condition and whereabouts, only to learn from his mother that she died. This is one of the few times he openly shows grief. This is also Turin’s first taste of the realities of Middle-earth. The plague is believed to have been sent by Morgoth to the northlands to depopulate his enemies there. Many who die are children, but Turin had a stronger constitution than most, like his father. Lalaith unfortunately did not, being as fragile as she was beautiful. The boy blames himself, not understanding it was far beyond his control and a self-hatred begins that lasts the rest of his life when he cannot protect others close to him or under him. Turin’s relationship with Niniel, his second sister, is more complicated and is the one that finally destroys him. 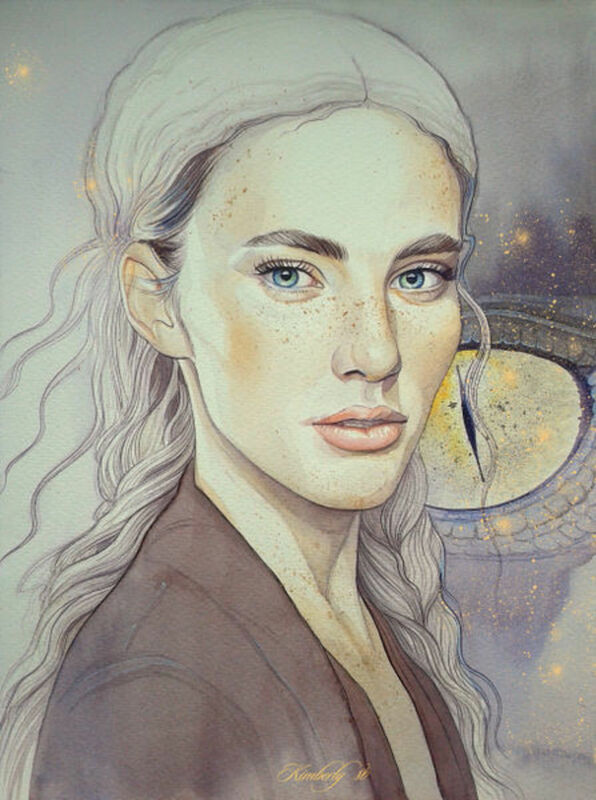 Conceived just before Hurin left for war, Turin never met Niniel while living with Morwen in occupied Dor-lomin. However, he had been aware of Morwen’s pregnancy, as well as of Niniel’s birth via letters he would later receive from them via King Thingol’s messengers. Turin never actually meets her until years later when he is in Brethil and this where the complication comes in. Sometime before their meeting, when Turin was on run after the fall of Nargothrond, Niniel and Morwen had finally left their Dor-lomin for Doriath. However they then leave their sanctuary against the advice of the elves, to find Turin whom they had heard was in Brethil. 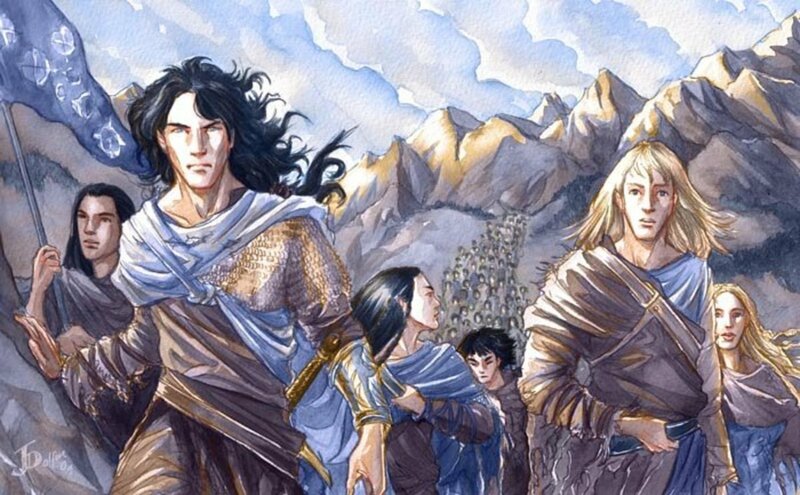 During their search, they get separated after encountering Glaurung the dragon, a general of Morgoth’s armies. The young woman is as fearless as her father and brother, and tries to match wills with the dragon but fails. He then puts Niniel into an amnesiac spell where she forgets all the facts of her life, only recalling the emotions. So when she finally is brought to Turin in Brethil, neither has any idea that they are related, save for Niniel being strangely drawn to him. Combined with his loyalty to family and fear of facing the consequences of his past, Turin finally breaks. With his deepest hopes and strongest qualities corrupted and turned into something evil, Turin is forced to see the rest of his actions for what they truly were. Words succeed where armies and hardships had failed and Turin goes mad and soon kills himself as well. "Turin’s main issue wasn’t pride but unresolved issues of anger at the cards he believed higher powers were dealing him." Turin was very intelligence, though more openly so in his younger days than his latter. As a boy he showed an intense curiosity in the lore of his people. This information he gleaned mostly Labadal, though he felt it more appropriate the boy should have been taught these things from his parents rather than a servant. Still, Turin displays such a quick application for learning that he becomes equal to if not greater than his teachers. He even becomes proficient in some elven methods of tracking and surviving in the woods from the Elves of Doriath. His aptitude was compromised by his stubbornness and anger. As Turin sought more to battle orcs, he would only learn what was needed to fulfill that end. Once his mind was focused on a goal, it was nearly impossible to dissuade him. Something nurtured from Morwen. Lacking his father’s patience, Turin refused to heed advice other than those that went with his own goals, often to disaster. When he did try to follow contrary wisdom, it was usually after his own had failed and all those attempts to correct his mistakes would meet the same end. His intelligence was also prevalent in his battlefield experience. Besides his inherit strength and skill, Turin was good at creating strategies against all but the greatest of enemies. This too though was also comprised by his faults, but not the faults that others attributed to him of being proud. Turin’s main issue wasn’t pride but unresolved issues of anger at the cards he believed higher powers were dealing him. Combined with his headstrong mentality, Turin has all his parents’ traits but was emotionally untrained. And this is what causes his lack of restraint as well as pride. Turin’s father, Hurin, was known for his great skill in war even when he himself was a boy. And Turin inherited this gift as well. Though taller than his father, Turin was also eager to fight and quickly earned a reputation of his own as an unstoppable force of arms while fighting for the armies of Doriath and Nargothond, as well as leading guerrilla campaigns near the hill of Amon Rudh and the forests of Brethil. He had great endurance, persevering through wounds that would not stop him from his goals, unless they were the most overbearing of obstacles. Only once, was he ever defeated in direct combat when his guerrilla band was betrayed at Amon Rudh and Turin himself captured. Though often reckless in battle, Turin could also be crafty. He led Nargothond’s armies to briefly retake the surrounding lands from Morgoth. He saves a group of men from Brethil being attacked by orcs by deceiving them into thinking he was leading a larger force other than himself. 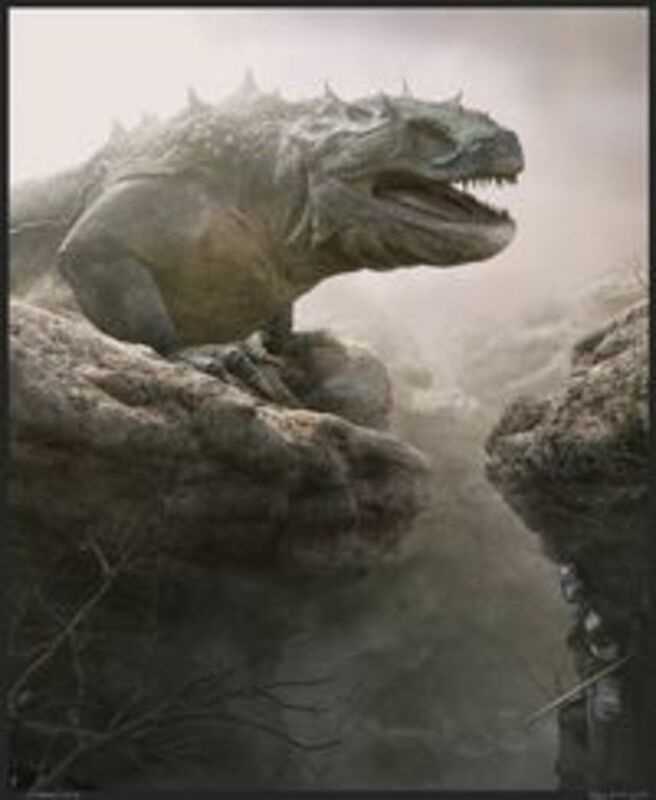 He developed the plan to kill the unstoppable Glaurung by sneaking up on him through a nearby gorge and stabbing him. He accomplished this despite losing everyone who followed him and being nearly wounded to death himself by the dragon’s blood and is regarded as his greatest feat. Even when his plans fail, Turin’s battlefield skill and endurance often saved him. Though close in skill set to his father however, Turin was very different from Hurin for the reasons why he fought. 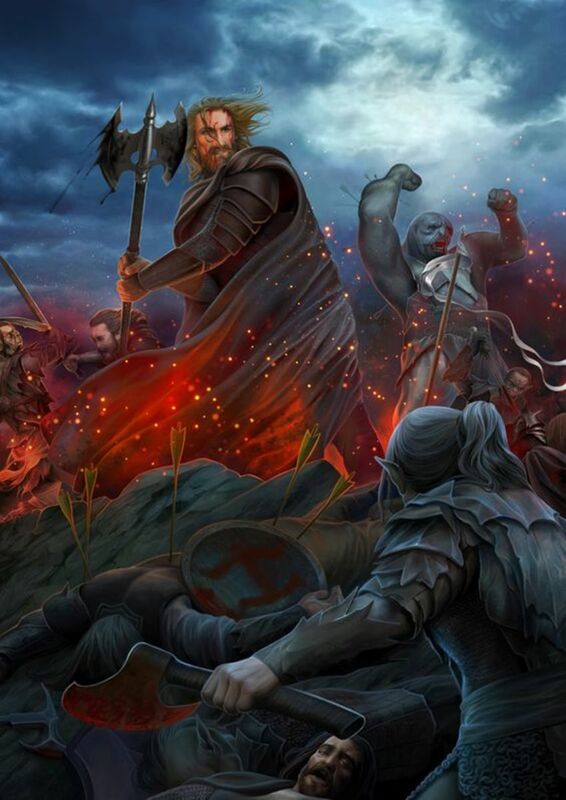 Hurin fought because he believed in the long-term dream of one day defeating Morgoth. He fought for hope and faith. That was not his son. Turin fought out of a sense of deep, seeded rage and loss. Rather than long-term planning, Turin fought just to kill his enemies who had caused him harm. As a young boy he had lost everything. Rather than inverting that pain in on himself as Morwen had, Turin takes it out on the battlefield or those who cross him. He is also driven by a desire to protect those around him, though many never saw it through his stubbornness and pride. This largely was an extension of his relationship to Lalaith. Turin never resolves or deals with this pent up intensity properly and despised any defensive or stealth tactics for going on the offensive. This drive is what makes Turin the renowned warrior he is known for, as well as a bane to his allies who often end up dead because they can’t keep up. Turin was literally the fire that if you got too close to you would be burned. But it does say something for the man as well, as when he finally does die, it is by his own hand and not those of his enemies. Turin’s biggest faults are his temper and his stubbornness. Many believe that these traits are rooted in his pride and are the core of who he is. Rather they are expressions of the deeper turmoil that stem from his childhood experiences. Never learning healthier ways to manage his feelings, these become coping mechanisms for Turin, outlets for his intensity. His temper is directed at any who insult his family as well as towards orcs on the battlefield. Turin has fits of short, but black, berserker rages. He nearly kills an elf in Doriath who insults his mother and sister, and Turin later pursues him until he falls into a gorge. He refuses to answer to King Thingol for that death because he believed he did nothing wrong and would not take the fall for it. When leading his bandits that he trains into guerrilla fighters at Amon Rudh, Turin still refuses to comeback at Beleg’s request, who was his best friend. As a general in the army of Nargothond, he refuses the council to destroy the main bridge connecting the cavern city to the land across the river because it’s the key to his goal of engage Morgoth’s armies. He kills the Easterling chieftain who had been harassing his family when he returns to Dor-lomin, along with several of his top men. And finally, he kills Brandir in Brethil when he calls Turin a curse to all who know him: this one being the most personal and insulting because Turin had shown pity to him on many occasions despite being aware of his jealousy love of his marriage to Niniel, and Brandir had now spurned it. His stubbornness also takes the form of tunnel vision when he wants to achieve a goal. This focus is extremely single-minded. When his group of outlaws disagrees with him over the treatment of the captured elf and friend, Beleg, Turin openly challenges any who would disagree with him to fight him. He even finally tells Niniel whom he had been courting that if she doesn’t marry him that he will return to the battlefield. It is understandable why people considered him proud and full of himself. Despite this, Turin’s stubborn streak is also what fuels his talent for leadership. He gets it from his parents afterall. Turin is supremely and blindly confidant in his plans. He often persuades others who have misgivings about them through his sheer force of will, similar to his father’s but more imposing. He harbors no doubts that his plans will succeed, until they don’t. The only things that seemed to sooth these internal pressures were letters from his family during his stay in Doriath and for awhile, his marriage to Niniel in Brethil. But loss took these away as well. Turin’s lack of control and resolution lead to him becoming a man lead by passion and obsession. In the end, those unresolved feelings convert into an unbearable despair that drives Turin mad. Despite his extreme nature, Turin was kind-hearted at his core, not proud. Even when he was a boy, he was known for showing pity on those who were suffering. It’s a trait that is unique to him alone. While his other personae can be considered learned or inherited, pity is something that is pure Turin and perhaps shows what he might have become had things been different. He immediately leaps to the aid of others in need without second thought. When he acknowledges something that he has done wrong, Turin often responds by breaking down into depression or despair, such as when he accidentally killed Beleg when the elf rescued him from Orcs. Or when one his men from his bandits accidentally killed the son of a dwarf they had become acquainted with, Mim at Amon Rudh. Turin feels a debt must be paid when he had wronged someone and he often tries to do so. He offers Mim a share of any money they come into as compensation for Mim’s deceased son and staying in his caverns. When in caught in an argument between Brandir and one of his men who wants to go out and fight, Turin refrains from insulting the chieftain’s disability in his foot and does not insult him. Turin doesn’t have a desire to proactively want to harm others, besides armies of the enemy. Other than his own issues, Turin honestly believes his way is the best way to protect those under him, until proven otherwise. When his camp at Amon Rudh falls, Turin is taken alive. Beleg also survives and tracks and rescues Turin with the help of another elf who is an escaped slave, Gwindor. After his rescue by the elves, Turin mistakenly kills Beleg in one of his black rages. Utterly distraught, Turin is taken to Nargothond by Gwindor. During the journey, Turin learns from him that the runaway slave had been captured decades ago during the Nirnaeth Arnoediad. More importantly, he gets confirmation for the first time that his father, Hurin, is indeed still alive and held captive. However Turin is also told that Hurin’s stubbornness against yielding to Morgorth provoked the valar to curse him and all his family. This is the first time he hears of this and it burrows into his mind. Before his capture, Turin had a devil-may-care approach to battle and life, frustrated at how his life was turning out. Now he learned that he was a marked man, and though still wanting to fight, shows more caution by hiding his true name. Turin believed that if his name was some how not mentioned that he would escape Morgoth’s curse, believing also that his curse had such power to affect him. This caution develops over time into paranoia, going so far as to go by aliases and bidding others who know the truth to keep it secret. Though the many allies he accumulates in his adventures only respect him more upon knowing that the son of the greatest warrior of men was fighting for them, it often angers Turin himself. It becomes one his hair-trigger buttons to his temper, berating Gwindor for revealing his name to an elven princess who had fallen in love with him in Nargothrond. And he kills Brandir when he speaks his name and the words of the curse when returning from killing of Glaurung. Turin seems to have always felt that life was somehow conspiring against him, and Gwindor’s news gives his frustrations a name and a face. As mentioned before, Turin hates being unable to right an injustice, and a curse from an angelic being is as helpless as one can be. On that note, I should mention my thoughts on the idea that Turin’s death was a result of Morgoth’s curse. Remember that I am writing this from an in-universe perspective. When I read the stories, I do see Morgoth predicting a certain end for Hurin’s family, but only as someone who has glimpsed the future, not manipulated it. Most of the disasters in Turin’s life are the results of larger circumstances outside his control and his own choices. The only external factor in that help direct Turin’s life to a dead end was his encounter with Glaurung at Nargothrond. Yet even this only happened because of Turin’s earlier refusal to destroy the main bridge that lead into city. The encounter would never have happened had Turin had the structure removed. Those are my thoughts on fate affecting Turin’s choices. If there was indeed any element of fate that conspired against Turin, it started long before his father’s capture and curse. It started with how his parents had raised him. 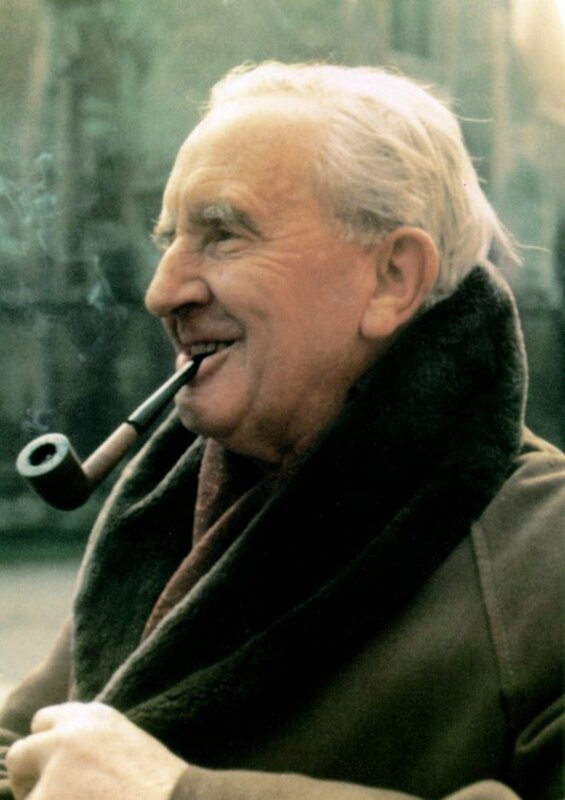 This has to be one of the best character reviews on Tolkien's characters. Thank you again. And keep up the good work! 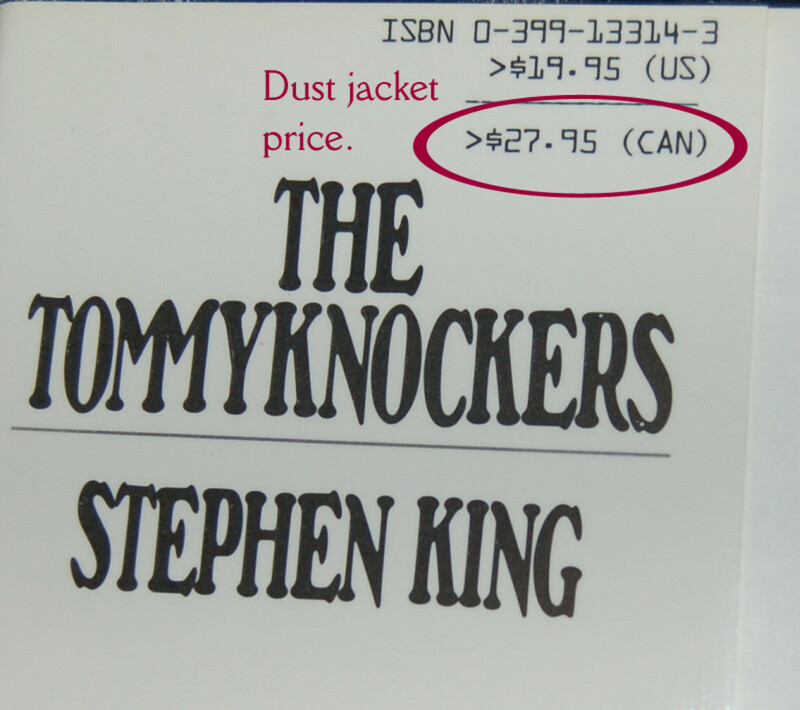 A long, short-book-length, piece, that will be of most interest to fans of the genre and the specific tale. I am not a good judge, being of neither persuasion. But this, as with all Hubs, deserves at least enough of a comment for you to know that someone stopped by. I did.